Omelettes are brilliant for any meal of the day and you can experiment with as many different fillings you like. 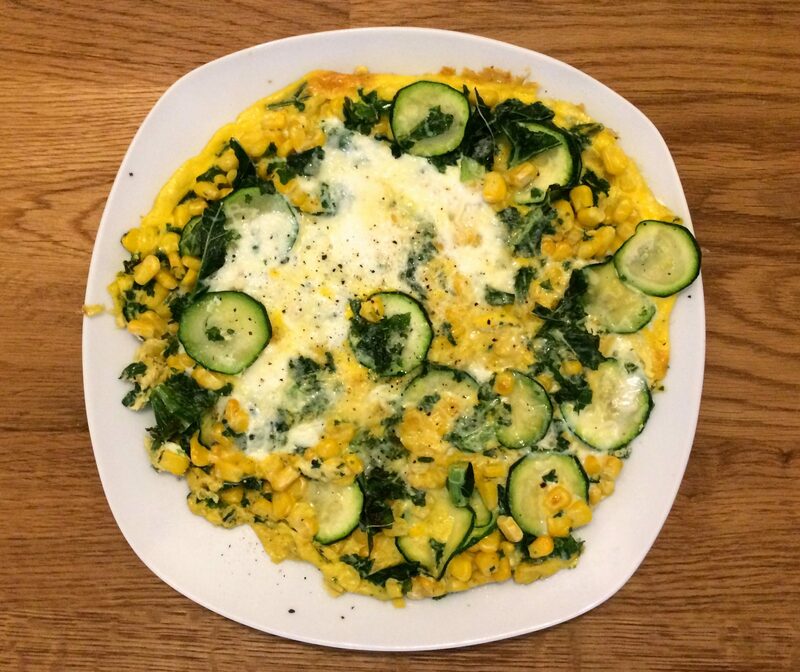 This one is delicious and provides a lot of goodness: courgettes are low in calories with plenty of fibre and vitamin c; kale is packed full of nutrients and will give you lots of energy and sweetcorn is full of fibre as well as making the omelette really tasty. Eggs, of course, are a fab source of protein which will keep you full up and bursting with energy all afternoon. If you want to make it into more of a meal, add some low GI carbs by having some new potatoes or wholemeal bread on the side.